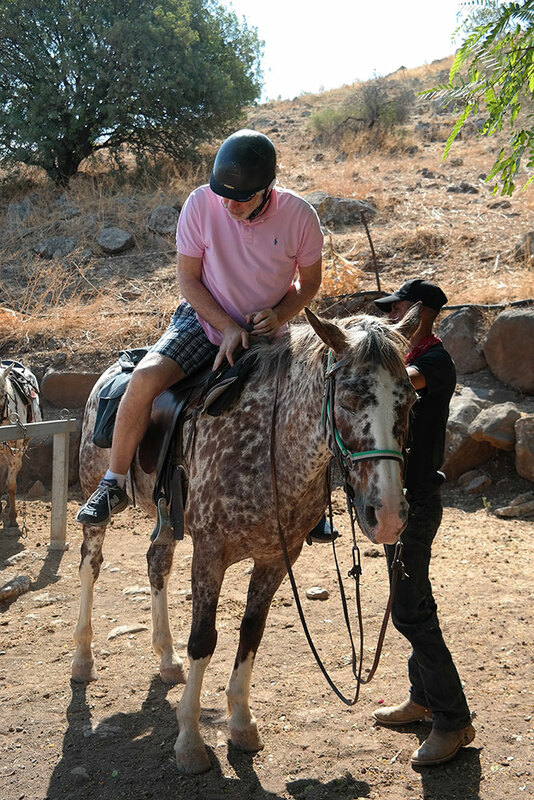 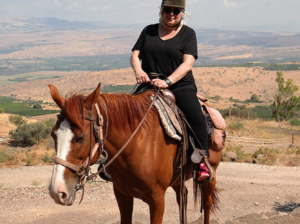 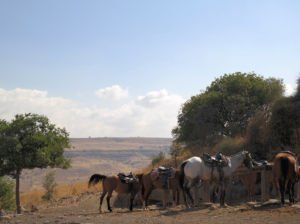 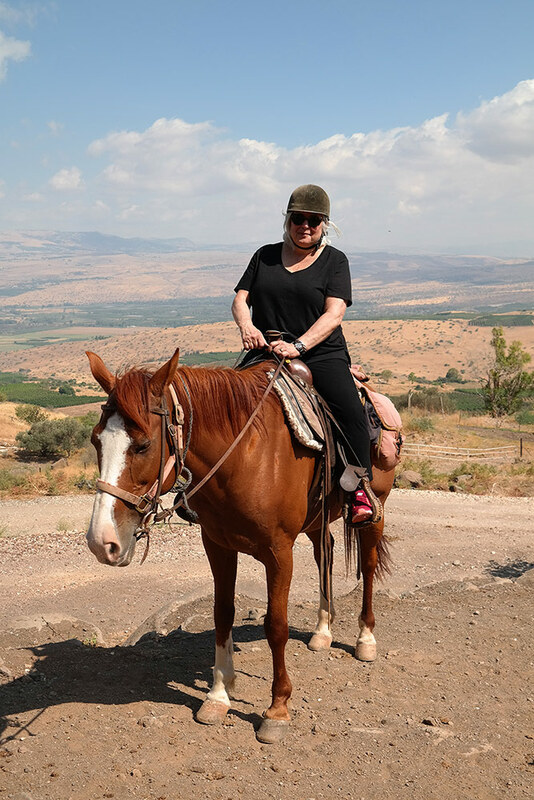 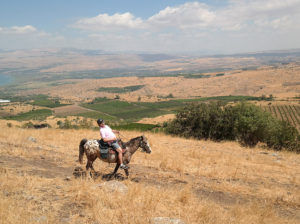 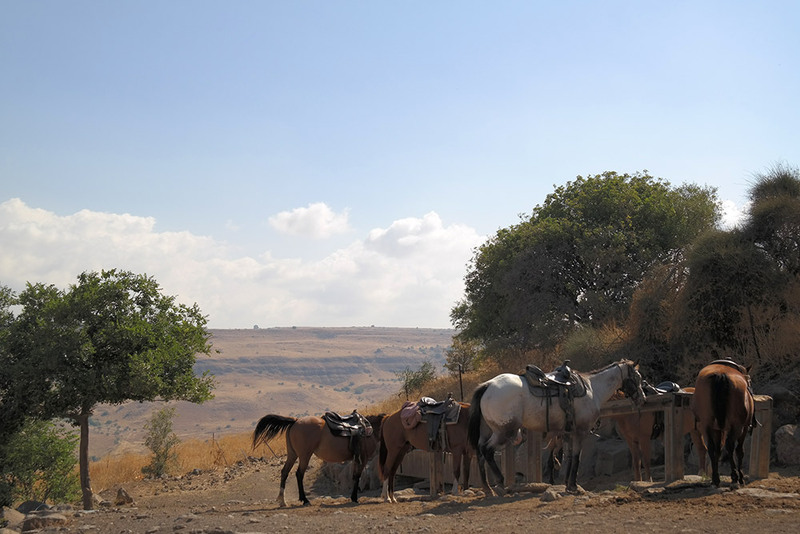 Horseback riding in the Golan Heights was one of the most terrifying and exhilarating experiences of my life to date. 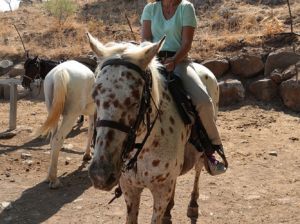 Can you believe I’d never been on a horse before? 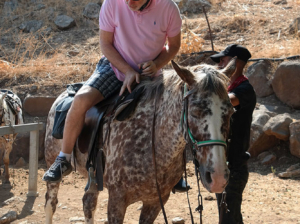 Same for Charles. 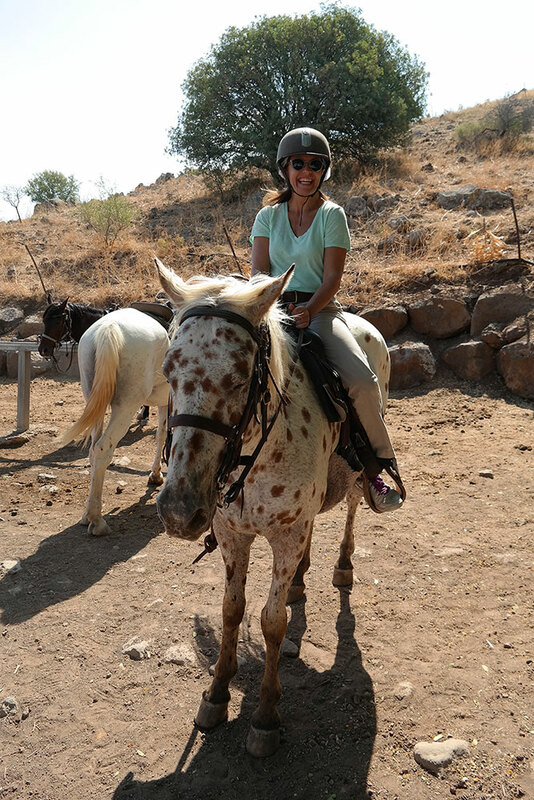 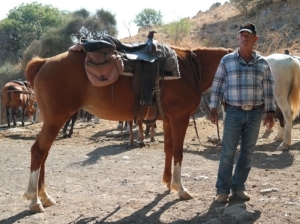 Our guide, Uri, at Ramot Ranch selected Whisper for me – a seal brown gelding who behaved like a teenager who had just passed his driving test. 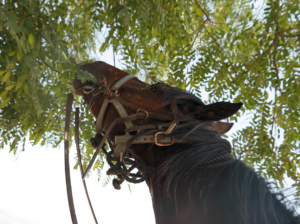 He wanted to be the first in line no matter how low I held the reins. 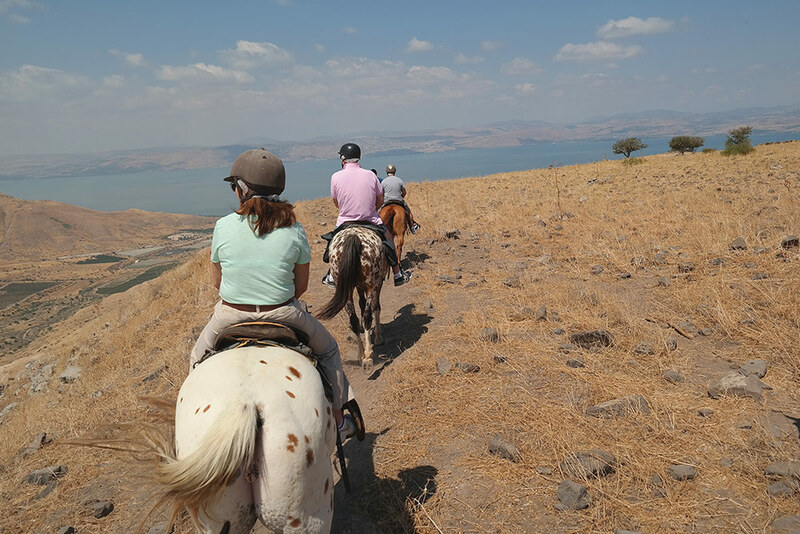 Thankfully, about halfway through the ride, we finally found our rhythm. 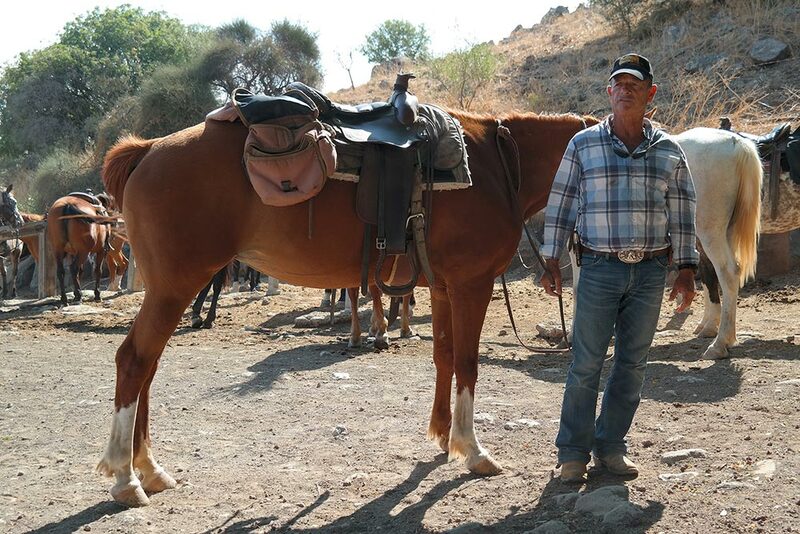 Charles rode Farouk – a gentle beast who sensed Charles’ apprehension and took very good care of him. 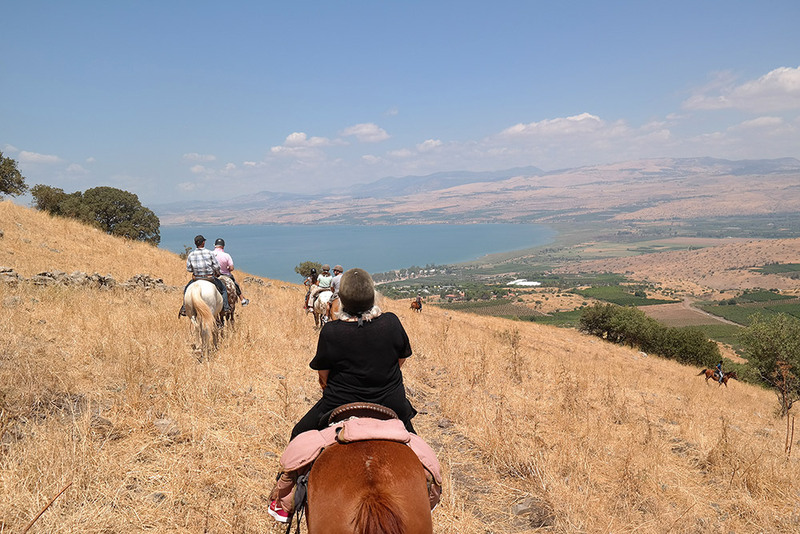 With several other folks from our tour, we ascended the vast plateau of the Golan Heights, skirting the edge of very steep cliffs. 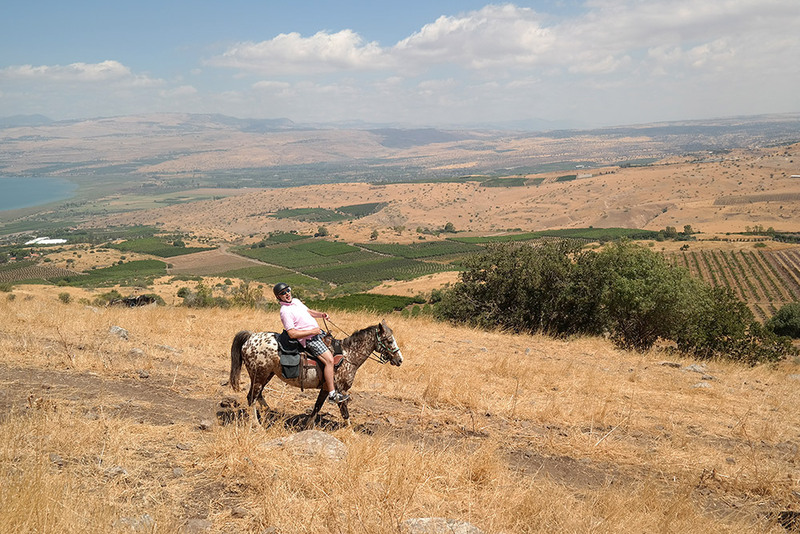 The basaltic terrain, created by volcanic eruptions millions of years ago, reminded me of Tuscany or California…golden dry hills splotched with green pockets of cultivation and cypress trees. 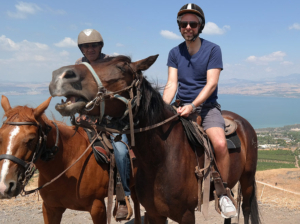 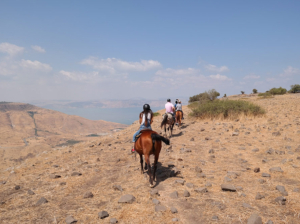 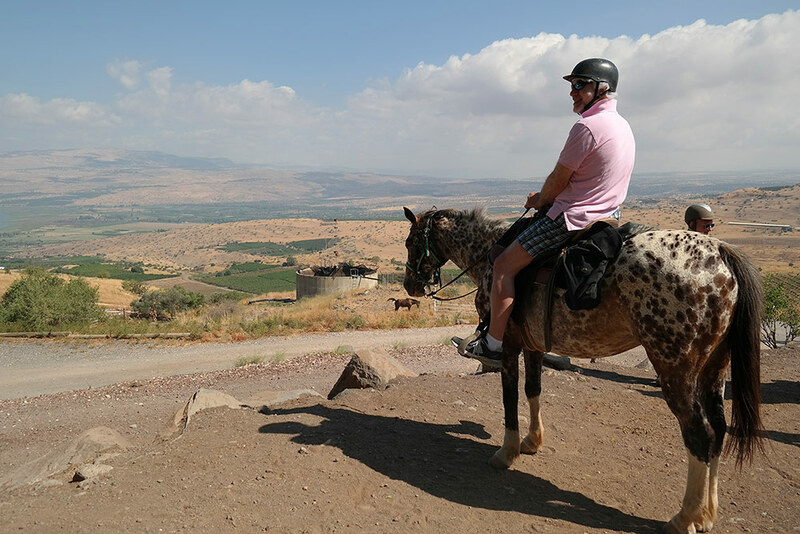 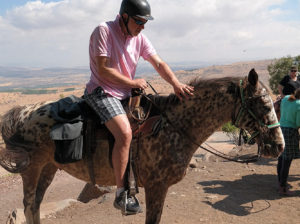 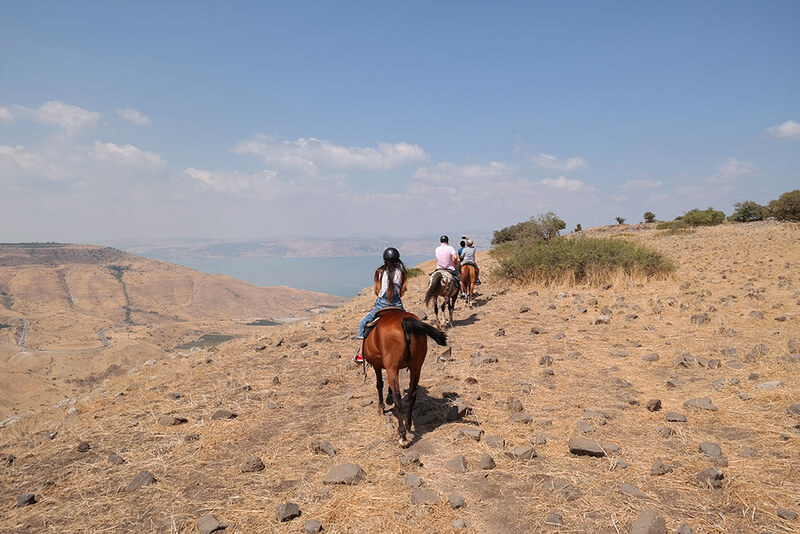 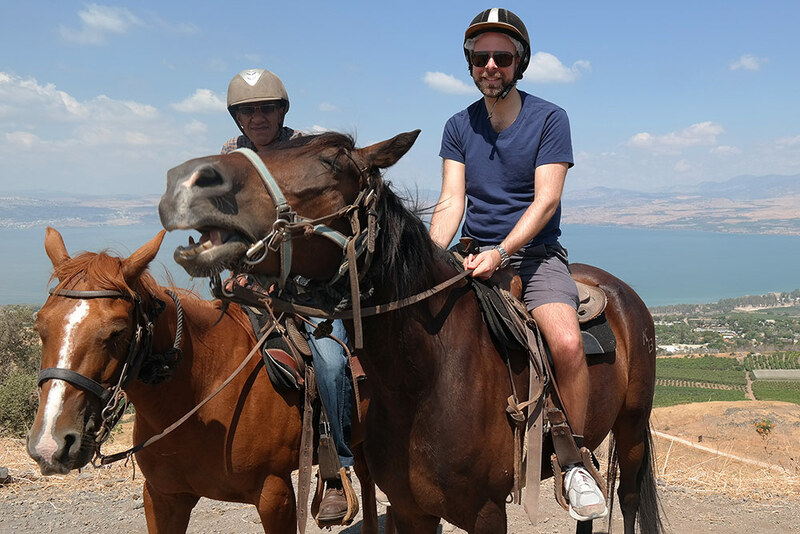 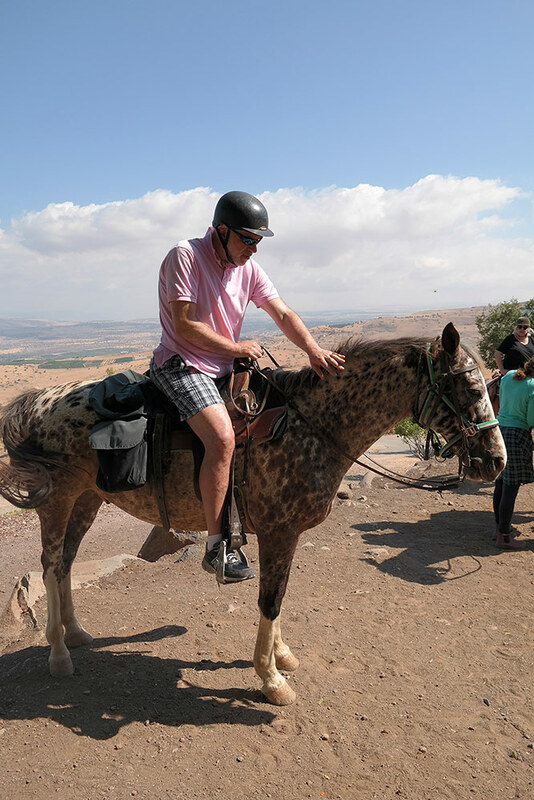 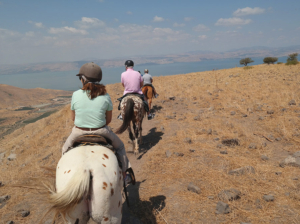 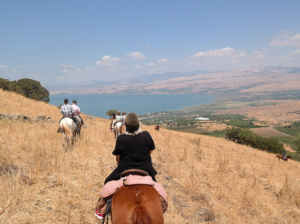 From the top of the heights, the views overlooking the Jordan Rift Valley and the Sea of Galilee were breathtaking, and being on horseback made it that much more memorable. 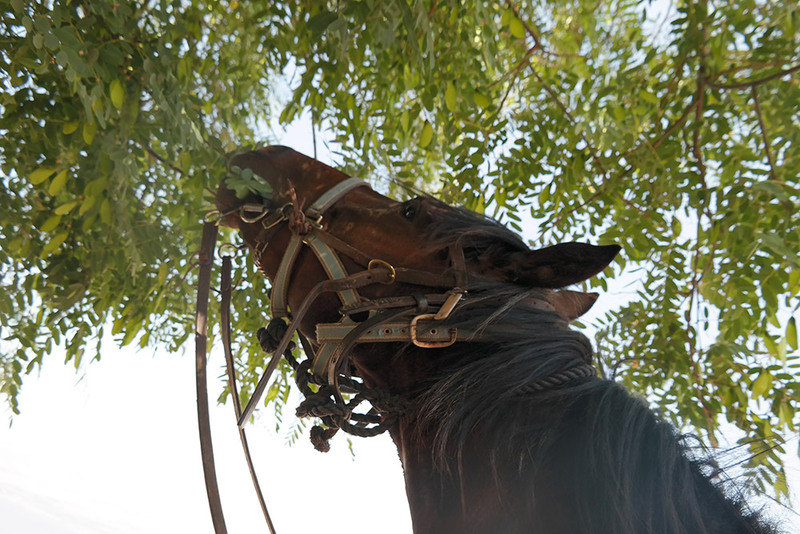 On the way down, Whisper kept stopping to eat the crispy, sere thistle flowers along the trail. 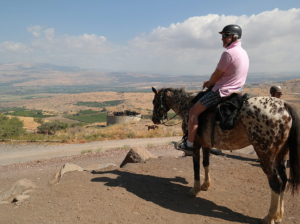 I looked up and saw Charles trotting along…Farouk and he had finally communed.